Using YouTube videos, help forums, and a convenient link to a parts catalog with engine diagrams, I have a basic understanding of the different snowmobile engine parts, including the exhaust system, cylinder, the air box, oil pump carburetors, chaincase, crankcase, and clutch. I’ve also learned that the carburetor is responsible for creating the proper mix of gasoline and air in the engine. As I learn about the engine and piece together how it runs, I was surprised how easy it was to understand. Newer snowmobiles have much more compact engines, but mine is fairly spread out and simple to find and get to the various parts. One area that was giving me difficulty was finding a video with my snowmobile used as an example. I found examples of carburetors that are similar looking but not the same. In general, it seems like most videos use Ski-Doo snowmobiles, rather than Polaris like mine. Today is the third day of searching for videos and information and I finally found a video specific to my type of carburetor. The problem that was holding me back was that I didn’t know the proper name for my carburetor. I have a flat slide carburetor. Once I searched with the proper name, I immediately found a video that really stepped me through what I needed to know. After the first day of looking at videos, I knew where the carburetor should be and what mine looked like and was able to identify it on my snowmobile. After the second day of videos, I didn’t learn much new information about how to remove and clean the carburetor, but assumed that I could unhook the carburetor and clean it similar to the examples. At this point I removed the carburetor from the engine. As I did this, I became pretty nervous because I had to unhook more things than any of the videos I’d seen, so after I took it all the way off, I decided I better go back to searching for more help. While looking on snowmobilefanatics.com forum, I found a thread that mentioned flatside carbs. 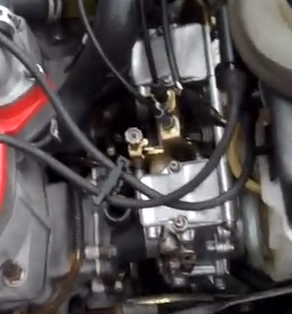 It didn’t have a picture of what the whole carburetor looked like, so I searched for a YouTube video about flat slide carburetors and a whole new window opened for me, I found my carburetor and a fantastic video (https://www.youtube.com/watch?v=Pl05DVuQZ0M). This video reassured me that what I had done was correct and walked me through cleaning my specific carburetor. 1) http://parts.polarisind.com/Assemblies.asp This showed the schematics of the carburetor. 2) https://www.youtube.com/watch?v=SCXVJ73TmK0, https://www.youtube.com/watch?v=mw90jTCwpxk, These two videos were two of the first videos I watched about cleaning carburetors, but they use a carburetor that looks quite different than mine. 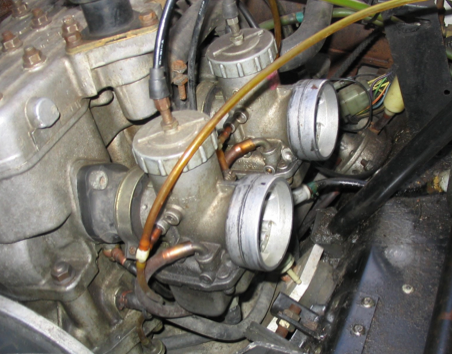 On the left are the type of carburetors used in these videos and on the right are flat slide carburetors. 3) http://www.snowmobilefanatics.com/forums/38-how/34813-cleaning-removing-flatslide-mikuni-s.html Here is the thread where I first saw the term “flat slide” carburetors. 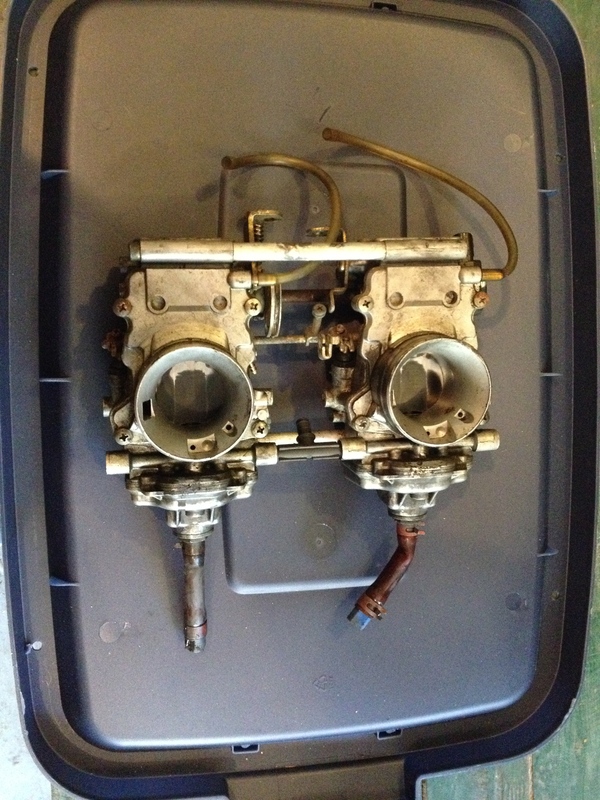 I had been dragging my feet when it came to actually cleaning the carburetor because of nerves that I would screw something up, but now that I have a very good resource, I’m going to disassemble the carburetors, clean them and reassemble! 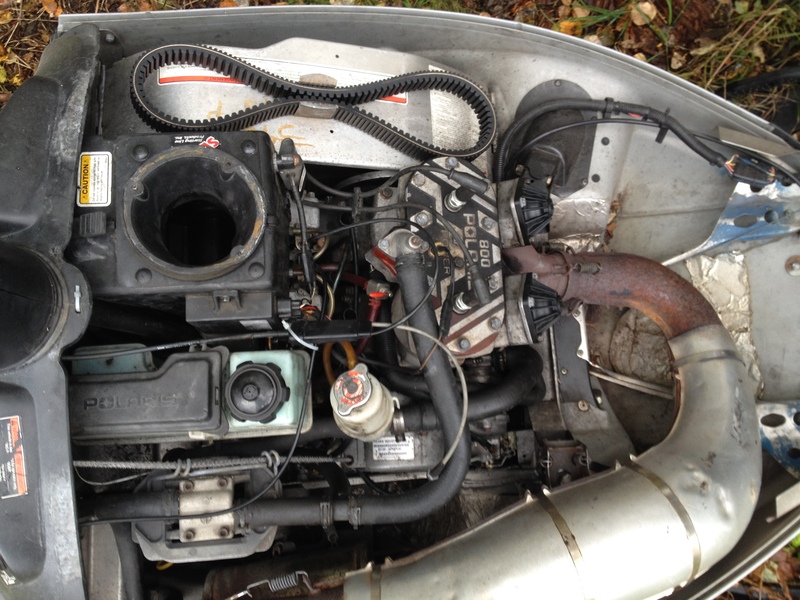 Finally, here are photos of the entire motor and the carburetor removed, here is the link to an important moment for me. Just the THOUGHT of this is intimidating. Way to be courageous and just start digging right in.